Despite the pent up anticipation, expectations and even months-long delay of its Siri-powered smart speaker, Apple has reportedly reduced HomePod orders in a move directly affecting its Far East component suppliers and overall sales forecast of the premium Siri speaker, according to a new report. 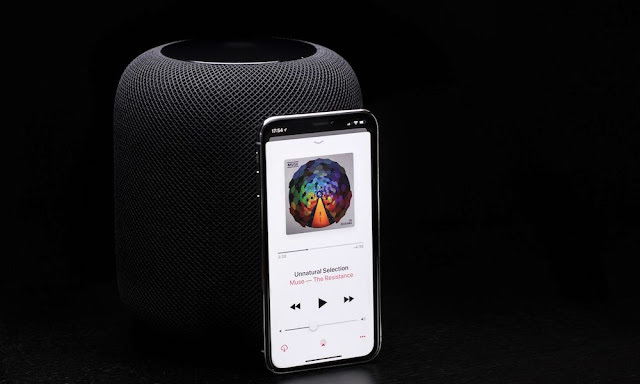 As previously noted by Bloomberg’s Mark Gurman, whose sentiments were echoed on Thursday by The China Times, Apple’s HomePod speaker hasn’t gained as much traction with consumers as the company may have anticipated, leading it to begin cutting orders back in March and reduce the HomePod’s overall shipment forecast from 500,000 units down to 200,000 during the second quarter. Apple’s primary HomePod assembly partner, Inventec, and key HomePod component suppliers, including upper lid maker, Ruiyi, primary cable fabricator, Liangwei, and soft board supplier, Taichi, are firms poised to be most affected by the sad development. It’s not entirely clear if The China Times report is relying on the same sources cited by Bloomberg earlier this month, but the Far East publication is known for being historically accurate when citing news and developments straight out of Apple’s supply chain. Apple announced its ultra premium-quality HomePod speaker during its Worldwide Developers Conference (WWDC) 2017 keynote, saying at the time that its Siri-enabled response to the Amazon Echo and Google Home would arrive in time for the holiday shopping season of 2017. However a spate of manufacturing bottlenecks ultimately pushed the HomePod’s official launch well into February of this year — and when it did launch, despite the stellar reviews of its superior audio quality, the $349 smart speaker largely failed to catch on with average consumers due in part to its high price and seemingly lackluster feature set. Even despite analyst predictions that HomePod would capture a sizable chunk of the burgeoning smart speaker market, coupled also with its impressive pre-order figures, sales have unfortunately fallen short within the last several weeks that it’s been available — and according to some reports, inventory continues to pile up at Apple Store and retail locations across the country. Indeed, the HomePod is largely seen as an outlier in the smart speaker market given its high price, but while it has been acclaimed for its stellar audio playback performance and impressive technologies, it’s clear that when it comes to smart speakers in general, average consumers would rather save money and settle for less. According to former Piper Jaffray analyst turned Loup Ventures founder, Gene Munster, HomePod sales could pick up by millions of units later on in 2018 — and even surpass 10 million in the coming year. But Apple is also rumored to be releasing a smaller, cheaper variant of HomePod sometime in 2018, which could (and likely will) appeal to a much broader segment of buyers. Thanks For Writing To us .. Explain me like I am new To Crypto Currency ?